Editorial Board / Comitato editoriale: Paolo Lucca (segretario / chair, Università Ca’ Foscari Venezia); Luca Arcari (Università di Napoli Federico II); Marco Bertagna (Morcelliana); Ilaria Briata (Università di Verona); Silvia Castelli (Vrije Universiteit Amsterdam); Drew Longacre (Rijksuniversiteit Groningen); Andrea Ravasco (Facoltà Teologica dell’Italia Settentrionale – Istituto Superiore di Scienze Religiose, Genova); Eric Noffke (responsabile per le recensioni / book reviews' editor, Facoltà Valdese di Teologia, Roma). 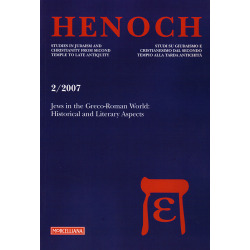 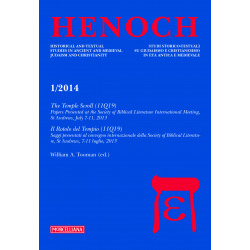 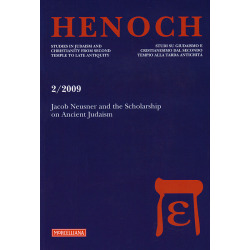 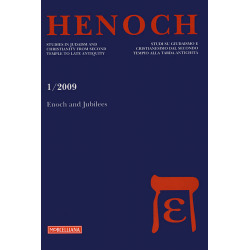 Henoch is a double-blind peer-reviewed journal that considers papers written in English, French, German, Italian, or Spanish. All articles should be submitted as Word and PDF attachments to Paolo Lucca (paololucca@gmail.com), and should be accompanied by an abstract of about 150 words, and a biographical sketch indicating each author’s institutional affiliation and contact details. For books reviews please contact Eric Noffke (enoffke@chiesavaldese.org). 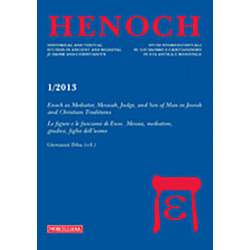 - Versamento su ccp n. 385252 intestato a Editrice Morcelliana S.r.l. HENOCH Ci sono 30 prodotti.